Japan is home of all the special and exotic cafes serving niche clients with special interests. 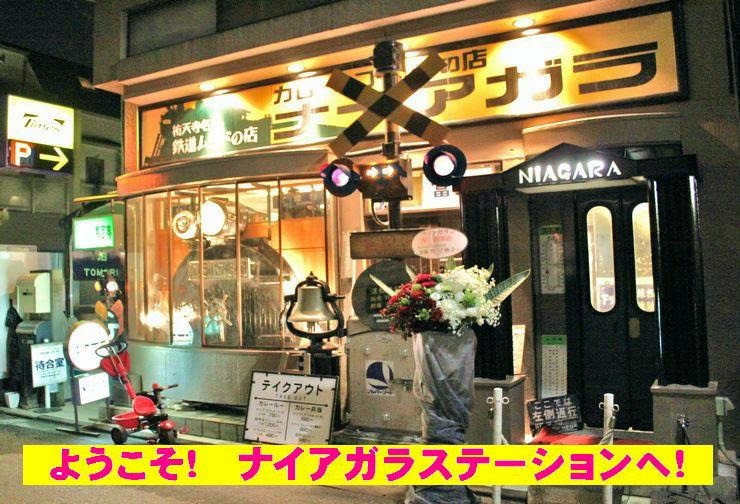 Niagara curry cafe is one of them and it is a train theme cafe. Below is a picture of the cafe, with lots of trains props decorations. 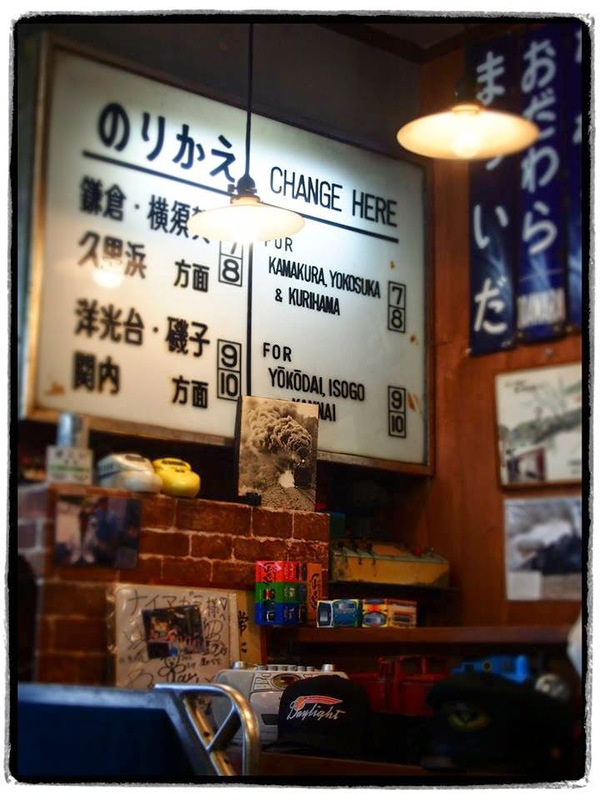 This cafe is owned by the man in the picture below. He used to be train captain working for JR East. 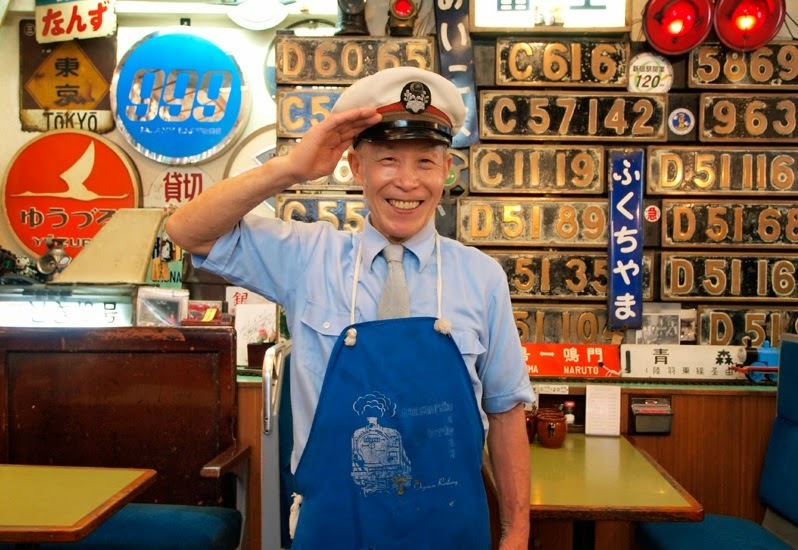 But, when he got retired he founded this beautiful train cafe, because he himself is train 'otaku' (fanatic). Guess, how old is he??? He is closing to 80 years old, cant believe rigth? I got a shocked too when I got to know his age, he looks younger than that! You could see him easily in the cafe, most of the time he will be there. What makes this cafe interesting is, all the food will be served with train "plates". The food will be delivered to you using a train. There are train tracks attached to all the dining tables. It is a great experience, to see your food delivered to you with a train. Besides, you could hear the biiii biiii train sounds when it is coming to you. 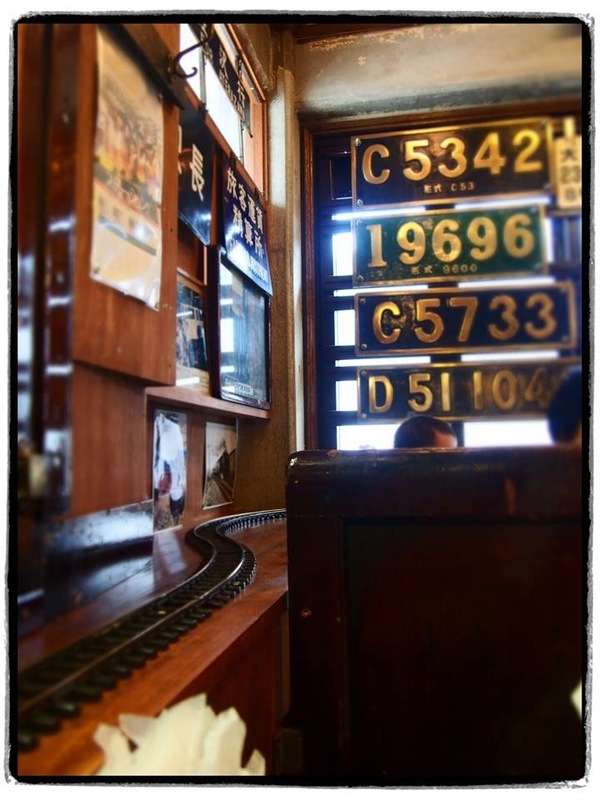 There are so much details provided in the cafe to stimulate the atmosphere of trains. The cafe is not huge, it is quite small, but it is well decorated with all the trains props with some dated decades ago. All these items are collected by the founder during his young days. 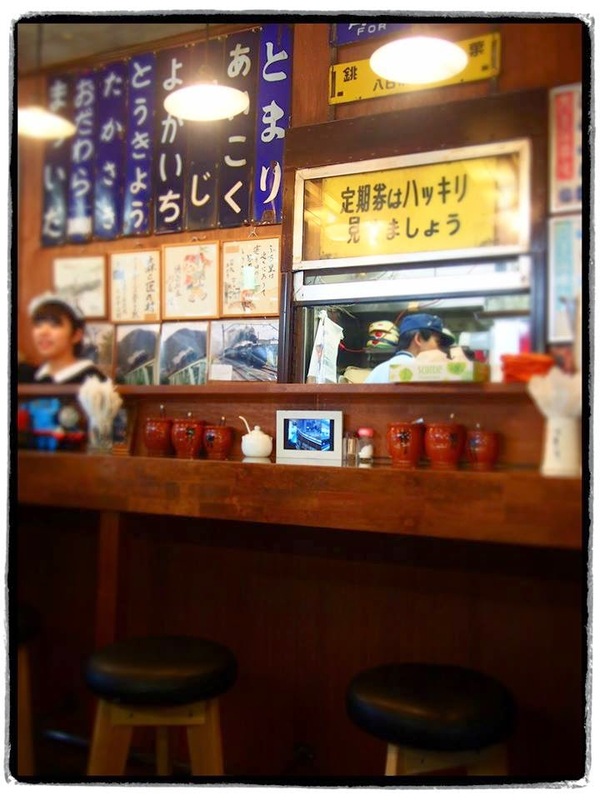 The waitress are dressed like a maid to serve you, because in Japan the train attendants used to wear them. 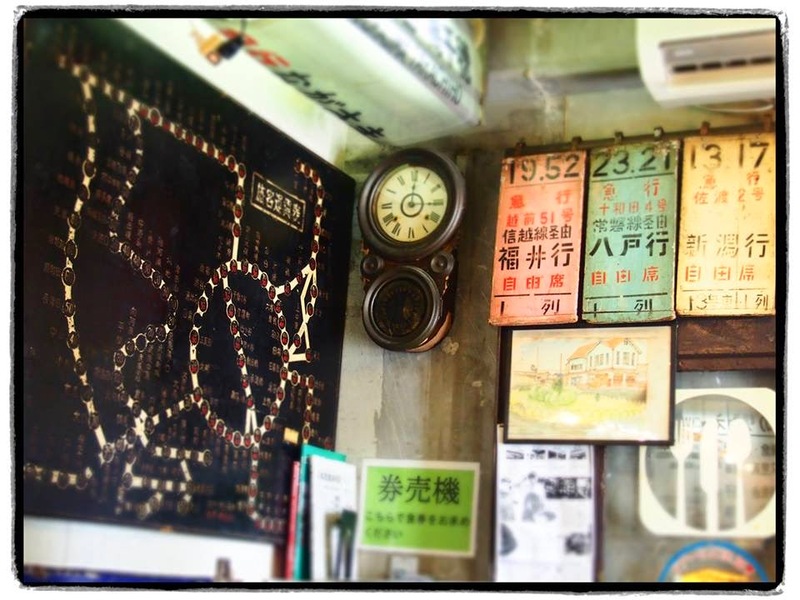 An old piece of clock and train map displayed in the cafe. 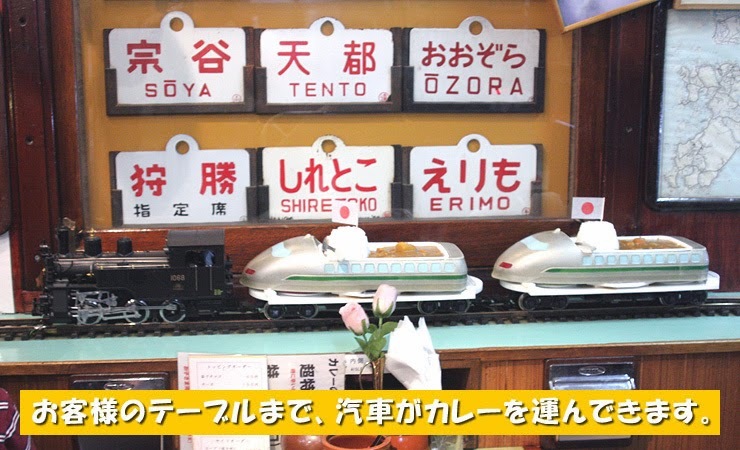 It is a mini train museum cafes, because most of the items are very old. An old train transfer board displayed. If you are interested about this cafe, you can check out the cafe in the link below. It is quite far from Tokyo, and the store is located deep inside a small town and check the operating hours, it does not open everyday!